Sandhill Preserve is a community in Palmer Ranch developed by DiVosta Homes, one of the major builders which saw the strong market potential of Sarasota homes for sale following the U.S. housing recovery past the Great Recession. DiVosta, a unit of Atlanta-based national builder Pulte Group, started developing this community in 2014. It set an enticing selection of five consumer-inspired home designs for the Sandhill Preserve area covering 120 acres in the southeastern part of the Palmer Ranch. Sandhill Preserve, located off the eastern flank of Honore Avenue, is programmed for a total 350 homes. It was developed with plenty of impressive community features. For one, it is a gated enclave, and its residents enjoy an exciting collection of amenities. 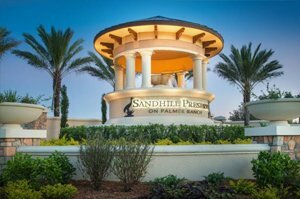 Sandhill Preserve is a maintenance-included community, and it provides a resort lifestyle in its fabulous amenity center. The facilities here include a resort-type swimming pool, tennis courts and a well-equipped fitness center. The community’s activity hub also features a multi-purpose room, catering kitchen, outdoor barefoot bar, fire pit and barbecue grill. There are walking paths and trails as well, plus an events lawn. 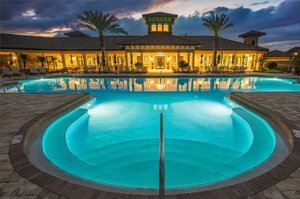 A full-time activities director coordinates special events at Sandhill Preserve, as a further perk for its residents. Choices of home designs in this community start from the Abbeyville model with a floor area of 1,659 square feet designed with two bedrooms and two baths. This smallest option amongst Sandhill Preserve homes for sale is priced starting from the low $300s. For a larger selection, consider DiVosta’s popular Pinnacle three-bedroom design with a floor space of close to 2,500 square feet. A current listing of this model is priced in the high $600s. These Sandhill Preserve homes for sale boast of open gathering areas suited for entertaining and everyday living. Well-appointed pro-style kitchens, functional and flexible living spaces, and extended lanais are also some of the selling points of these residences. Convenient access to local area amenities further enhance market interest in Sandhill Preserve homes for sale. 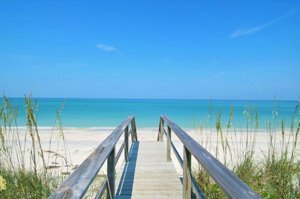 Their Honore Avenue location links north to Clark Road, a corridor leading to plenty of Sarasota’s life and leisure centers including the pristine beaches of Siesta Key. Given Sandhill Preserve’s superb location, top-rated schools as well as golf courses, shops, and restaurants north of the community are just only a short drive away. Mobility southward has also vastly improved with the extension of Honore Avenue south to Laurel Road in 2015. This extension created a new route alternative to Interstate 75 not only towards north Sarasota and Manatee County. Its connection with the east-to-west Laurel Road and with Pinebrook farther south laid out a new route to south Sarasota County too. As advantageous, Honore Avenue is likewise set for a westward extension to Bay Street. When finished, this road project will enable shorter and faster trips to Osprey. This road improvement should surely help draw more prospective buyers to Sandhill Preserve as well as attract buyers to other Sarasota homes for sale in this southern Palmer Ranch area. Listing courtesy of: FLORIDA ELITE HOMES INC.